Food has such a powerful impact on not just our mouths and stomachs, but our emotions and memories too! It has a way of transporting us back to certain times in our lives- with certain people, or in specific places. I so vividly remember sitting at red-checkered table on the island of Mljet, Croatia, enjoying fresh caught fish in a lemon and herb butter sauce. I remember the smell of the ocean, the rock of the pier where we sat, and our attentive waiter, ready to help with our every need. I have such fond memories of the time I’ve spent in Europe, and while I can’t hop on a plane as often as I’d like, I can sure re-create some of my best culinary experiences! Here are some ideas for meals you can create that will make you feel like you’re travelling the world! 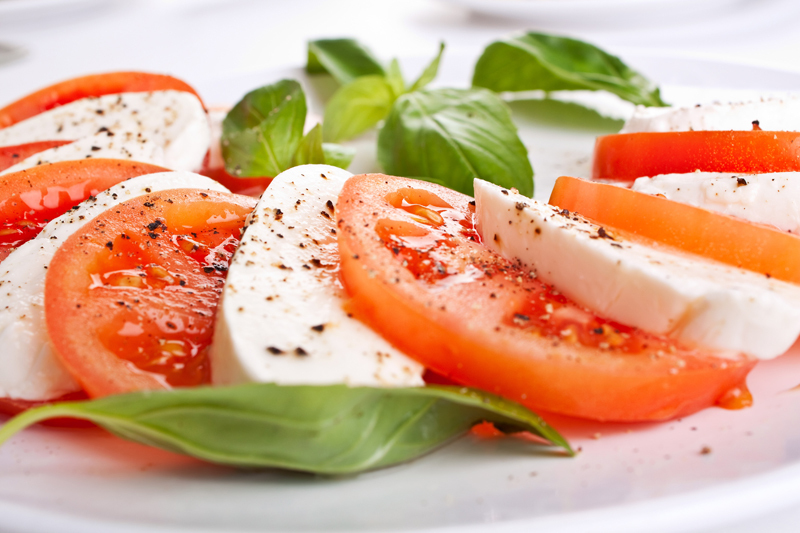 Fresh insalata caprese on the banks of Lake Como, Italy. Julia Child’s beef bourguignon will transport you right to the hills of France! A beautiful pan of paella makes you feel like you’re sitting in a Spanish seaside café. Weiner schnitzel- the a classic German dish. Authentic Polish pierogi, with potatoes and cheese! Make Greek chicken kebabs with tzatziki sauce, and you’ll feel like you’re in the islands. A delicious Hungarian goulash to bring you back to Budapest.